...and learn more about the age of our planet. To an ordinary person, these rocks may not look very special, but to a geologist, some of the rocks in the Saglek area are highly significant. 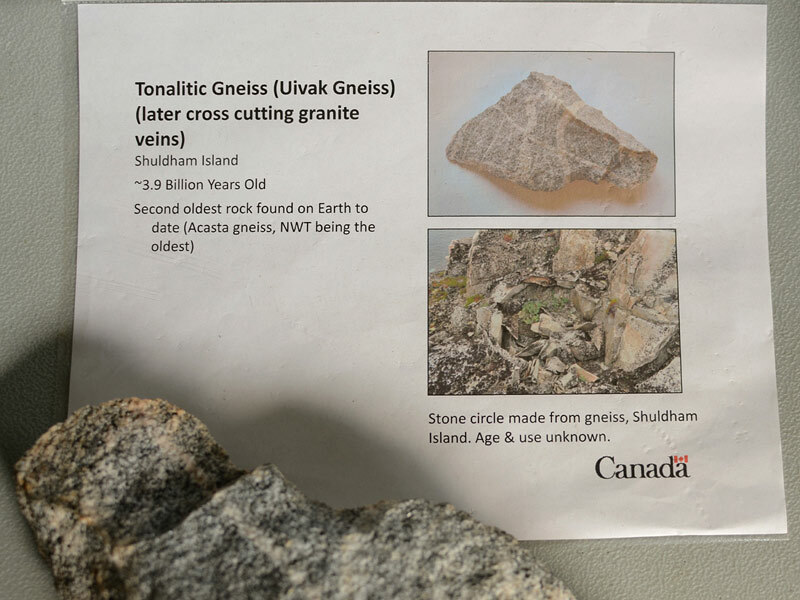 Geologists study rock processes - the weathering and erosion, melting and crystallization, compression and stretching of rock over millions of years. 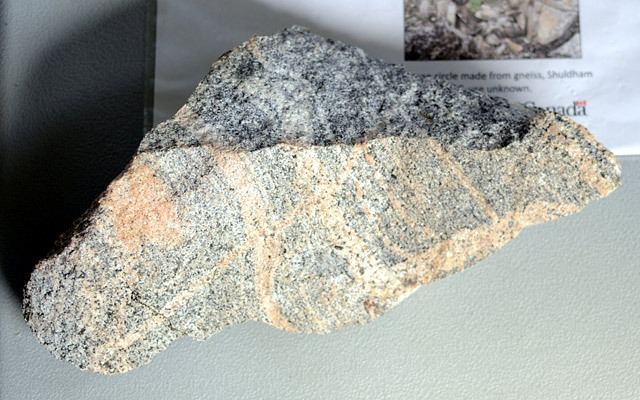 Being able to locate samples of the oldest rock in the world, unchanged since it was formed nearly four billion years ago, like this sample from Shuldham Island, is an important part of studying the geological history of the Earth.